TubeBuddy – YouTube Certified – Receive more views and subscribers without breaking any of YouTube’s rules. Tubebuddy integrates directly with you YouTube channel for easy management and promotion. TubeBuddy – Click here to learn more about all of the tools offered, install and try for free! or read below on why I am using Tubebuddy to grow and manage my YouTube channels. I own several YouTube channels including ThomasWoodenRailway. As a YouTube creator, like all YouTube creators, we hope all of our videos receive many views. We also do our best to grow a large YouTube subscriber base. Recently, I found #Tubebuddy. 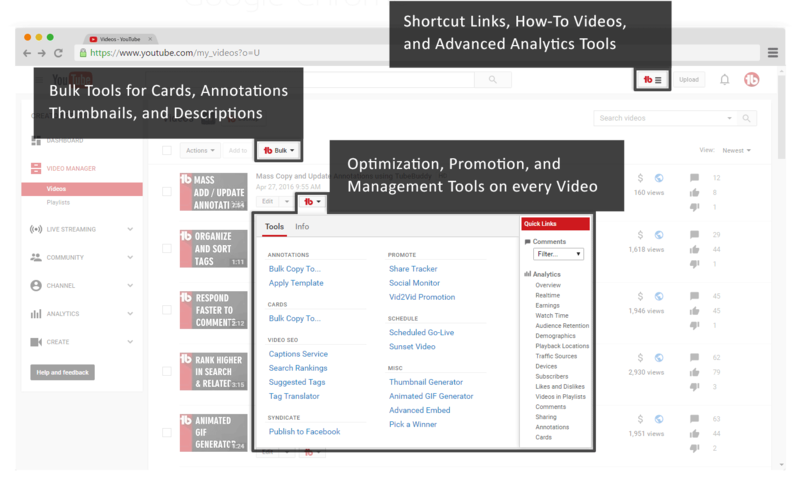 I began using many of the tools they offer to manage, optimize, and grow YouTube channels. Immediately, I began seeing a significant increase in each of the videos I optimized and a 40% daily increase in the number of new subscribers. You can install TubeBuddy for free and begin using it for free. As you see the benefits, you can upgrade to one of their inexpensive packages. For me, it paid off right away. One of the best things is TubeBuddy is YouTube certified so it is completely compliant with YouTube. As a matter of fact, it actually integrates directly with your YouTube channel which allows you to control your channel directly through TubeBuddy. TubeBuddy – Click here to learn more about all of the tools offered, install and try for free! Never purchase youtube views as it is against YouTube’s terms of service. If YouTube determines your views are purchased, you can easily lose your channel which you worked so hard in creating. Again, Tubebuddy is YouTube Certified so you do not have to worry about using all of their suggestions and tools. So if you were planning on buying Youtube views, use the money with Tubebuddy instead. Not only will you get more views but have many tools to make your channel compete with you competitors. Besides great content, it is all about optimizing your videos and channel. Tubebuddy shows you how. Lastly, whether you are a business growing your brand and want more sales, a gaming channel where you simply want more views and subscribers, or desire to earn more money with YouTube’s monetized program, you will be happy you looked into Tubebuddy. Be sure to visit TubeBuddy using Chrome, Firefox, or Safari (not on Microsoft’s browsers).